One thing is certain. 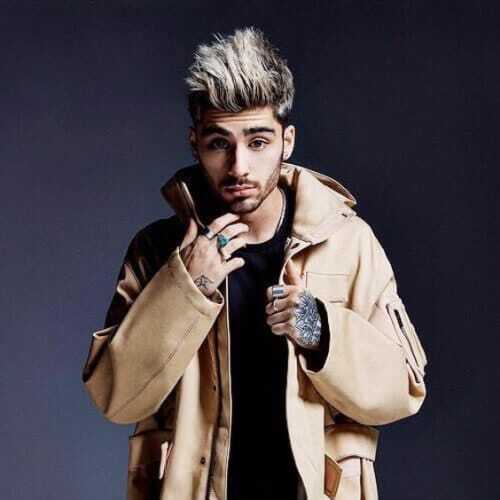 Style and fashion icon Zayn Malik has never been afraid to experiment with his hair. 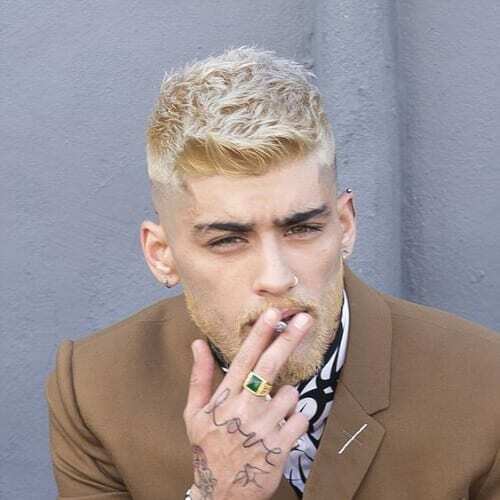 In fact, it might be a correct thing to say that Zayn has at least attempted if not succeeded to sport every haircut known to man. And you know what? We have made a huge collection of all of them, for your benefit. 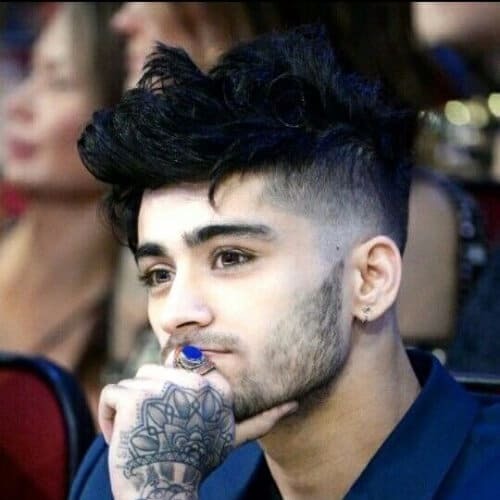 Here are 45 Zayn Malik haircut ideas to inspire you to look just as handsome as he does. 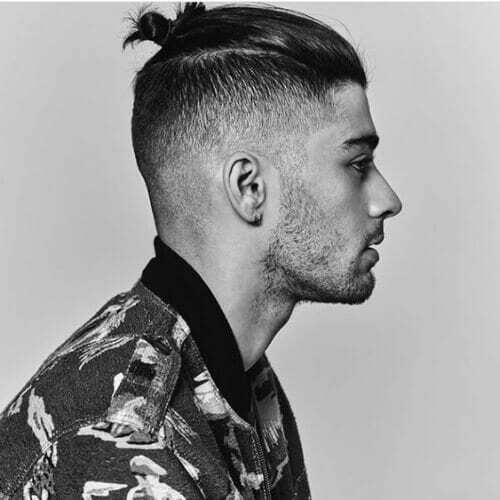 This Zayn Malik haircut started off as a simple cut with faded sides and a long top. 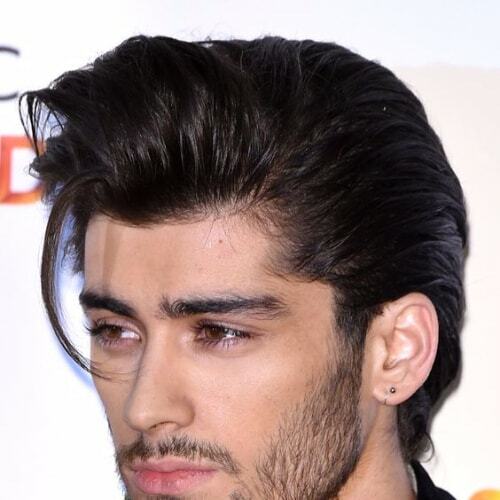 However, seeing as he has an undeniable creative side, Zayn has turned the long hair into a feathered quiff. 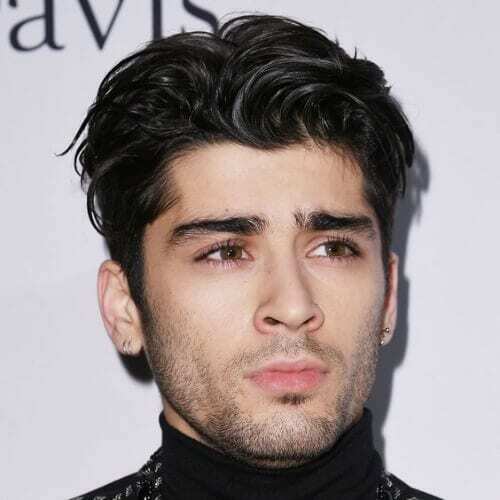 The great thing about this Zayn Malik haircut is that it showcases his beautifully sculpted features. 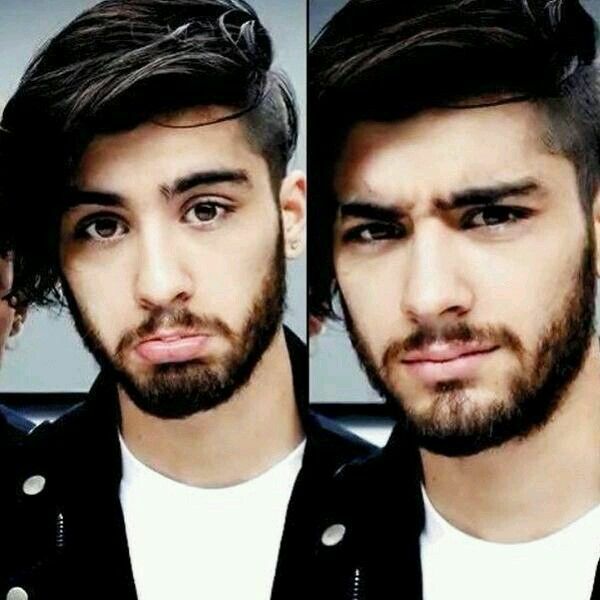 It also elongates his face and, combined with that awesome beard, makes the singer look rugged and manly. 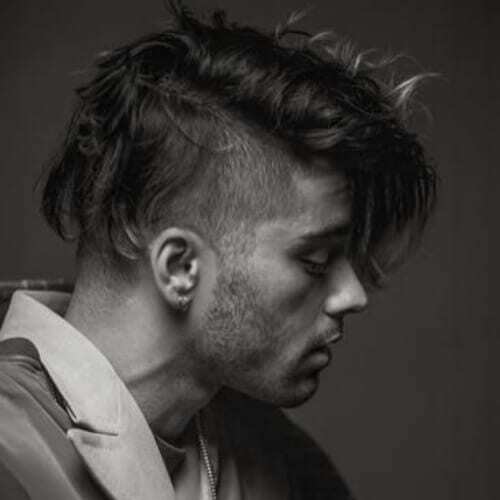 Long before the famous ‘long strand incident’ which sent the entire world into an uproar, Zayn went through a period when he used to wear his hair like this, with the bangs parted down the middle. 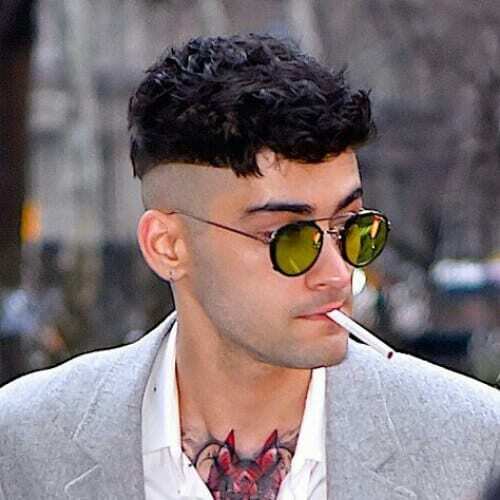 Here is the Zayn Malik haircut that inspired legions of his fans to start making memes of the young singer in the role of famous wizard Harry Potter. Don’t believe us? Go ahead and look it up! There’s the buzzcut and then there’s the blonde buzzcut. 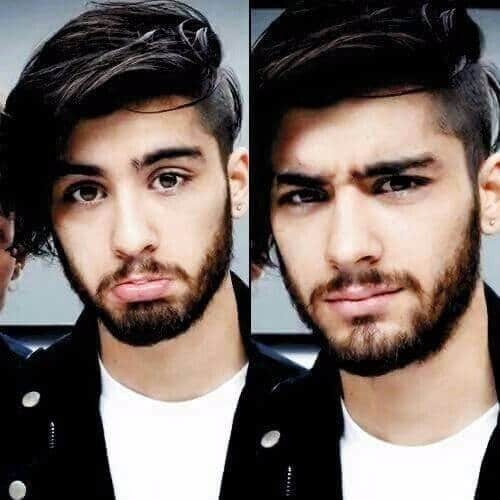 Luckily for us all, Zayn Malik went for both. The pale, straw blonde highlights his olive skin, as well as the gorgeous shade of his eyes. 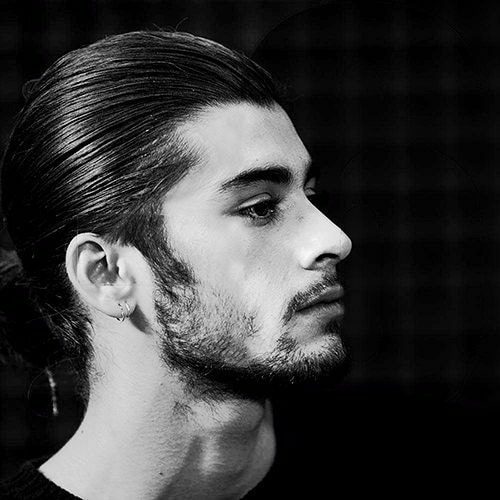 There was also a time in Zayn’s life when he loved his hair long. Buzzcuts and shaved sides gave way to long luxurious brunette locks adorning his beautiful forehead. What do you, ladies, think? It’s amazing how the singer can turn an old look into a completely new one with just a swoosh of his hair. Here he is sporting the same shaved sides and long top cut from above. Only this time, the hair is swooped over the crown of the head. 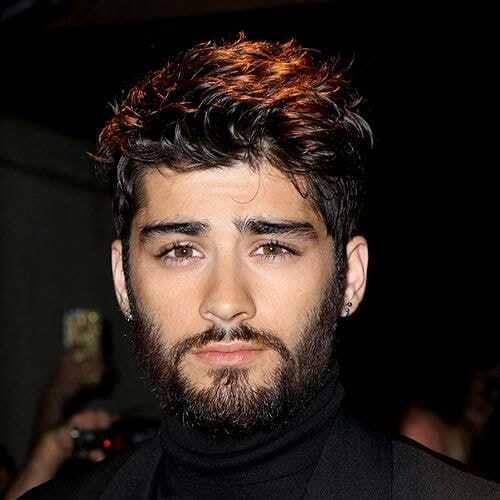 Not that he needs it, but this Zayn Malik haircut has the awesome effect of both elongating your face and adding a few inches to your height, in case you fall short. 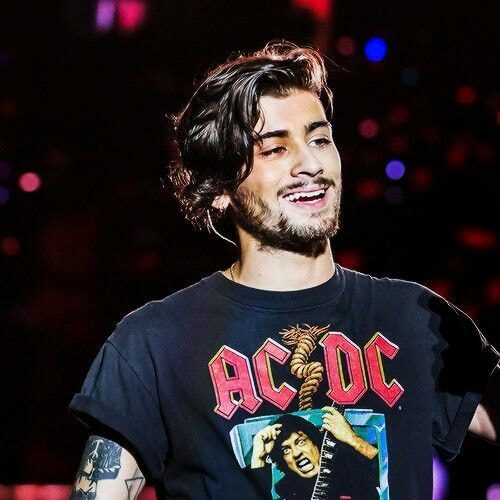 This is a still from one of his concerts, where the singer styled his hair into a very high and ruffled top, again resembling Harry Potter a bit. The pink scarf is a much-welcomed spot of color. If you thought the above cut was edgy, just take a look at this jewel. 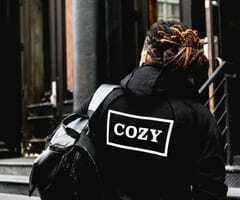 The completely shaved sides and back of his head clear the path for his tattoos to show, turning him into a baddie with green hair. 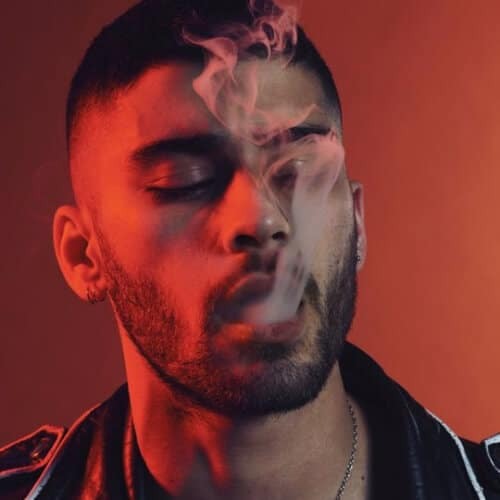 Seriously, is there something that Zayn Malik cannot pull off? Take a look at this neon rose pink that he chose to dab on his head. 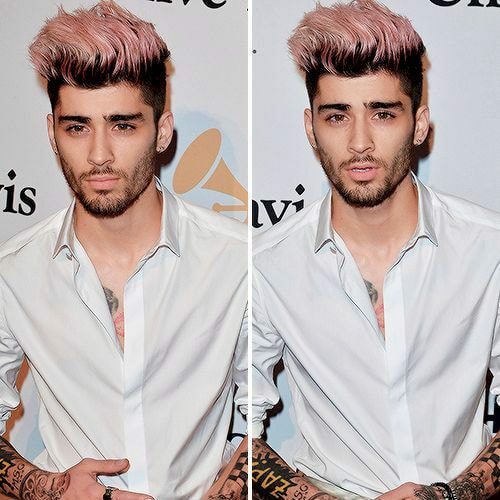 His hair is pink and he still looks like a total badass. How cool is that? 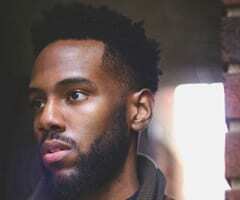 That seems like an overstatement, given that Malik is still very young but nonetheless, here he is in his more youthful years, with a full beehive going on. He still looked drop dead gorgeous. 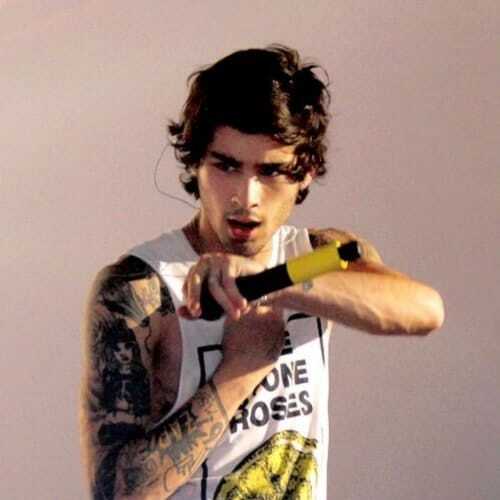 This rough and tough haircut suits Zayn perfectly. Plus, it is incredibly easy for you to copy, if you want to look like him. You can even do it yourself at home! 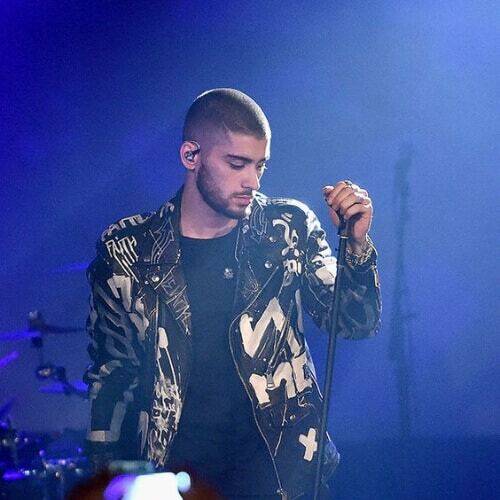 We are in love with this Zayn Malik haircut and, let’s face it, who isn’t? 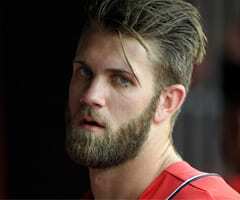 The sides are shaved to perfection, while the top is longer than with a normal crew cut, perfectly matching his beard. 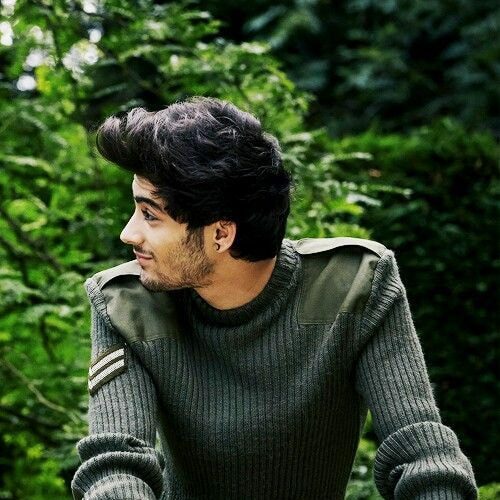 The beauty of Zayn Malik is that he can go from long spikes and pink hair to army style just like that. Evidently, he can pull them all off incredibly well. 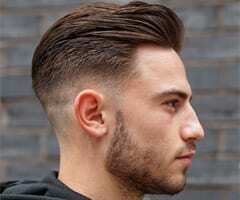 Ask your barber to give you this stylized crew cut. The older he got, the more his fashion sense and hair style matured as well. 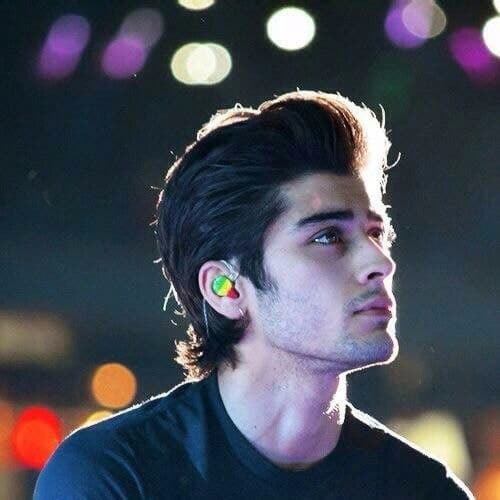 Zayn Malik went from the pretty teenager with tousled Harry Potter hair to a downright heart stealing young adult. 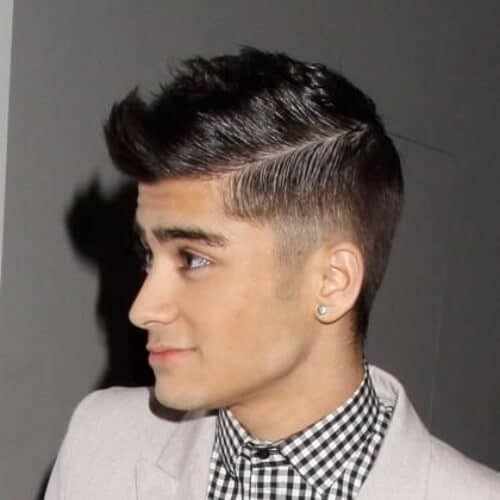 One of Zayn’s favorite hairstyles consists of a long cut which he rises up on end in very lengthy spikes. This time, he sported a gorgeous looking platinum blonde with dark roots and undercut. 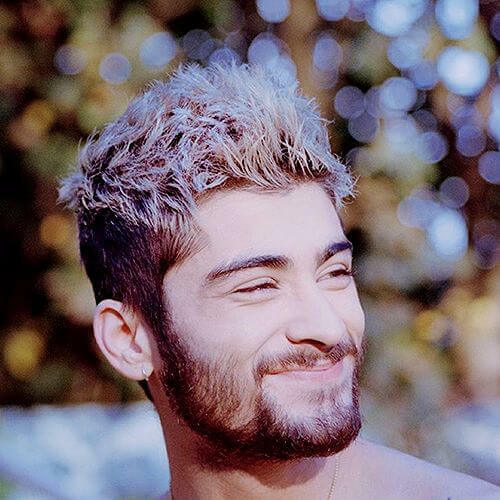 When he’s not raising his blonde spikes on end, Zayn likes to grab a handful of mousse or hair wax and simply mess them up. 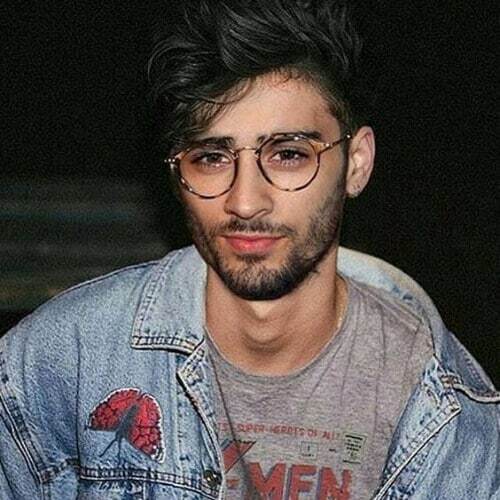 The result is this boyish Zayn Malik haircut which makes him look young and free. 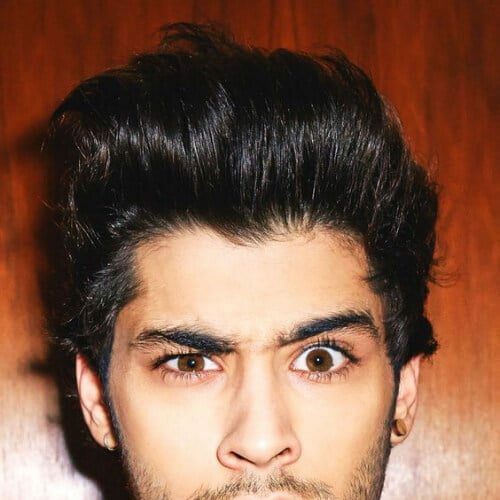 As you can well see, Zayn can act serious as well. 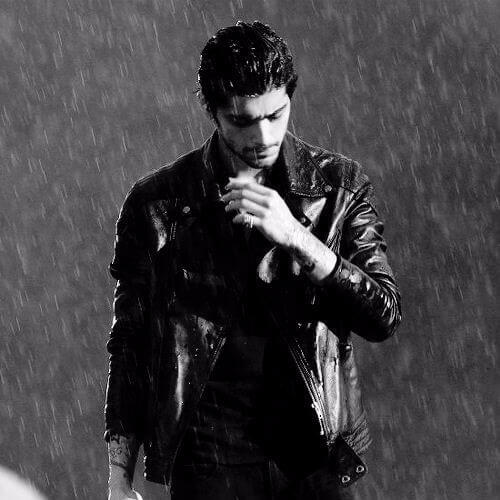 Here he is striking a vogue-ish pose in the rain, wearing a black leather jacket. His hair is short and slightly curly, as well as a dark shade of brunette. 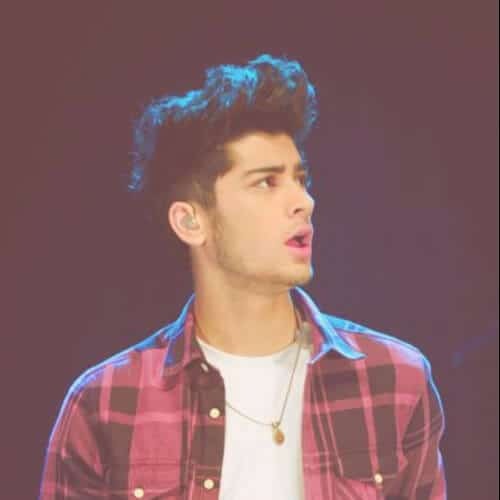 Back when he was a little younger, Zayn used to sport this college boy look, complete with a gelled hairstyle and buttoned up checkered shirts. He was also being a bit of a rebel by shaving the back of his head. Proving that he can be hot in almost any type of haircut, here is the singer with purple hair. The top of the head is longer but with no fringe while the side and back of the head are shaved down. 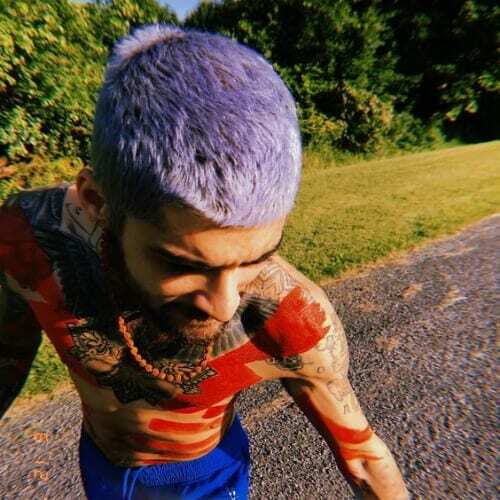 Since it was such a huge trend in the past couple of years, Zayn could not have missed his opportunity of donning a messy hairstyle. He chose to do his Viking style with shaved sides. What can you do when you have medium to long hair? 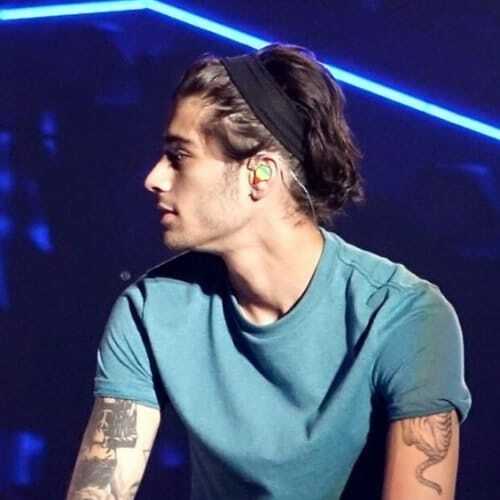 Take a cue from Zayn Malik and wear a simple, black headband. The wider it is, the better it will look and the more comfortable it will be. 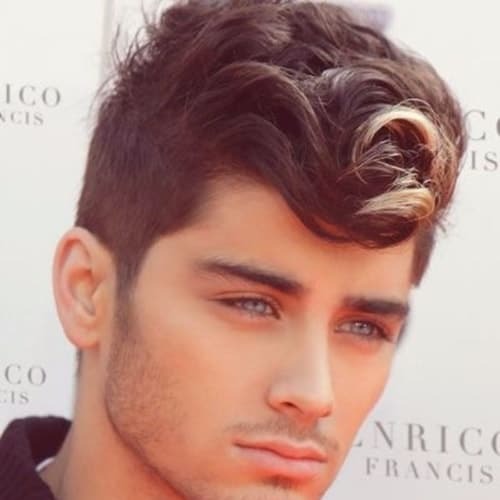 Not only is he sporting a gorgeous haircut with a 50s vibe here, but Zayn has also chosen to dye a front strand blonde. In this way, his curls gained even more depth and dimension. Long hair can turn out to be a bit boring in the long run. But not so much when you’re one of the most famous pop singers in the world. 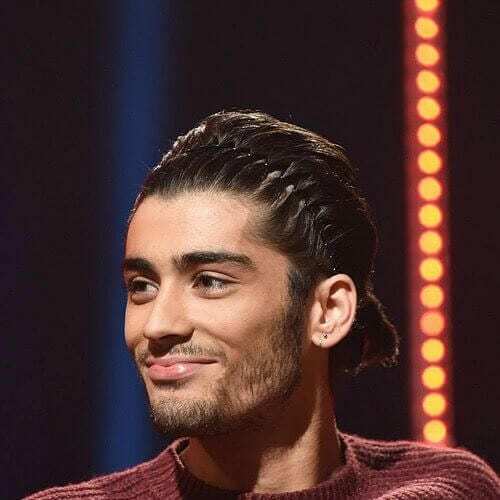 Zayn chose to slick back his long hair and add a colorful braid. If you have wavy hair, this is a great way to style it. Use some high-quality hair care product, part your hair on one side and pull it all across your head. The result will be a wonderful bed head of a hair style. We bet you thought that middle partings when it comes to boys are boring and dorky. You were wrong. 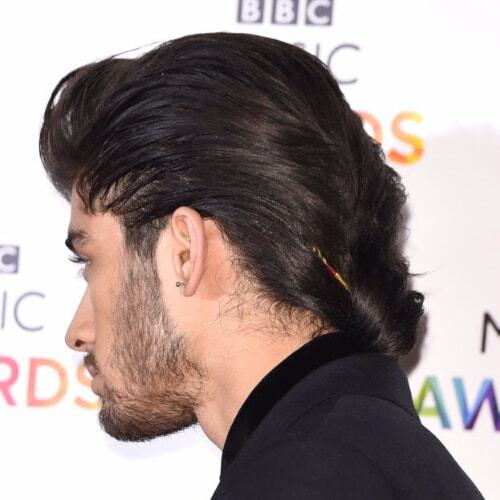 Zayn Malik is here to prove just that by looking so awesome is his wavy, middle parted hair. There is no color that the singer cannot pull off. 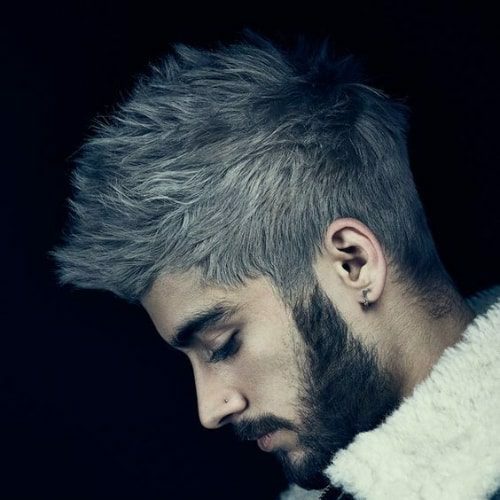 Here is a Zayn Malik haircut dyed in a beautiful shade of stone grey which compliments his eyes as well as his skin tone. 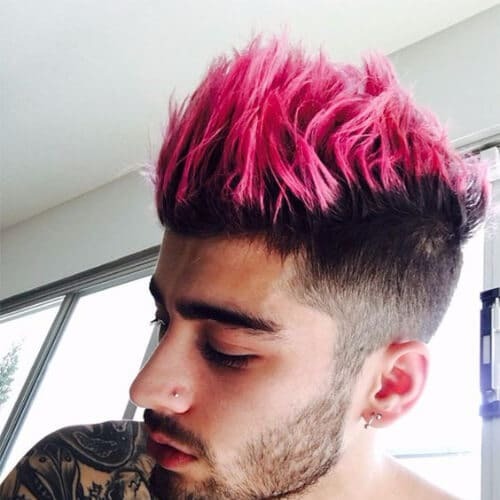 How many guys do you know that can pull off pink hair and still look amazing? 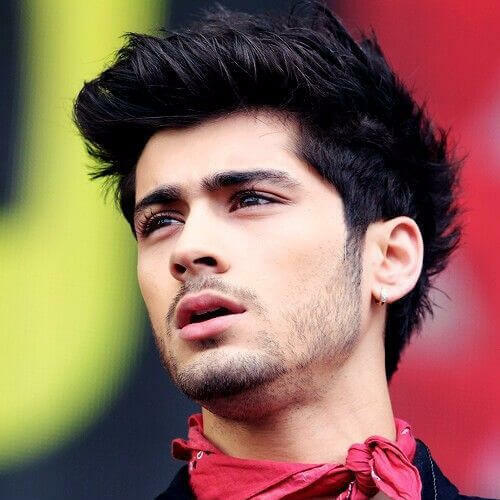 Zayn Malik should be at the top of the list because he just did the impossible. We believe he should receive the award for most beautiful hair. Here is the singer sporting another type of headband, which you can easily buy for yourself. If not, we’re sure your sister still has one back from the age when they were still hot among teenage girls. All you need to copy this look is some hair wax and a large comb. Take some wax into your hands, run your fingers through your hair so that you can push it all back and then use the comb to slick it. The singer is known for actually inventing new hairstyles. This is one of those, where he combined messy medium spikes on dark hair with a blonde quiff in the front. While we’re on the subject of his quiffs, here he is sporting a very long and fluffy one. 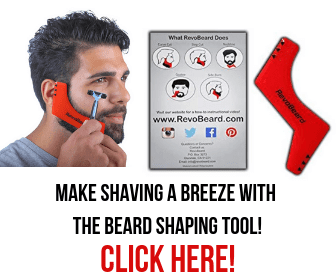 The best thing to do here would be to keep your beard trimmed to a stubble, so as not to cover your head in hair completely. 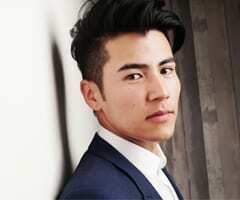 Here are some more quiff hairstyle ideas. We just love him for this one. 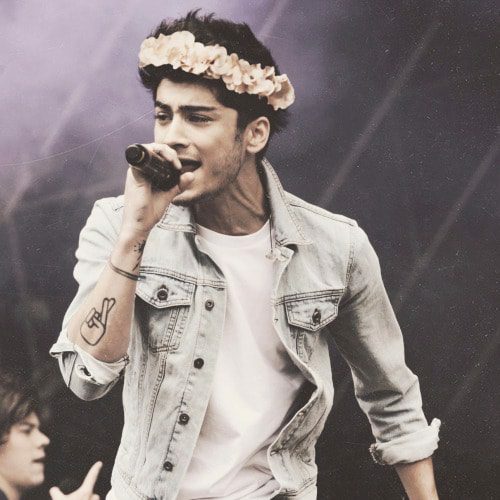 Here is Zayn breaking all rules and boundaries and showing everyone that the age-old conception that flowers are just for girls is completely wrong and outdated. We would normally not approve of the singer hiding his smoldering good looks under a big beard, but he just looks perfect in this pic. The short curly hair and fluffy beard seem to make the gaze go directly to his eyes. 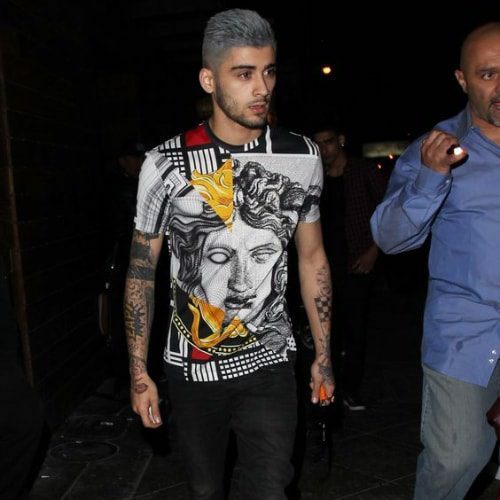 Here is Zayn sporting yet another shade of grey hair. This time, it’s a chalky grey shade, which he artistically paired with a T-shirt depicting the Versace Medusa and a geometrical pattern. What a look! 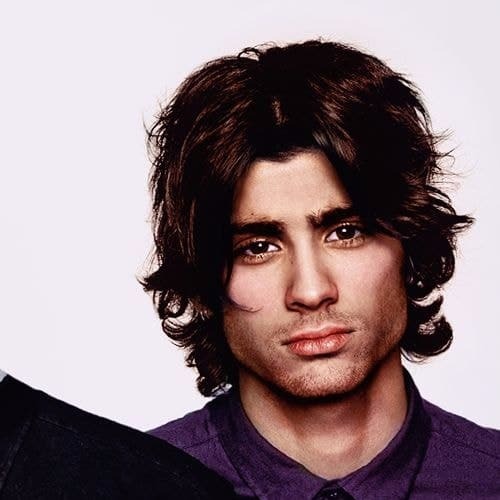 Zayn looks like the good guy next door who will walk the dog and mow the lawn just to get a girl’s attention. His medium length hair is styled using wax and gel and better he could not look. It doesn’t get any simple, or hotter, for that matter, than this. All you need to do is grow your hair into a medium or shoulder length bob and then use some hair gel to slick it back into a low ponytail. 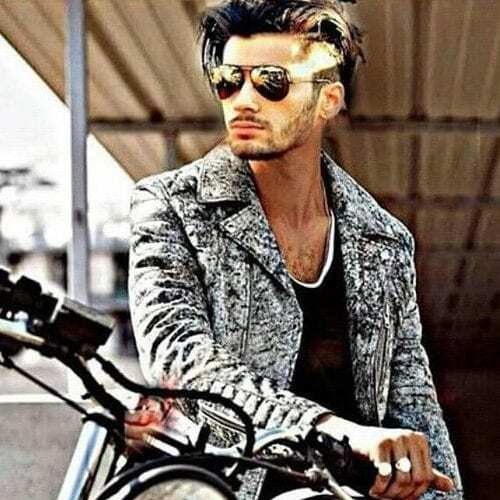 Here is the modern James Dean Zayn Malik haircut, complete with a motorcycle and a faded biker jacket. The aviators and large silver rings are not mandatory, but they are a welcomed addition that ties the whole look together. One thing is clear. Zayn surely likes his hair gel. This is how he obtained this gorgeous short and layered haircut with a long top. You can copy this look but remember to hydrate your hair really well in the shower. This striking and one of a kind look was used for one of his videos. 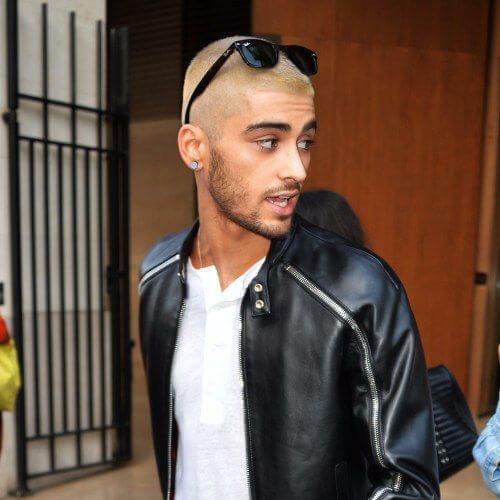 Zayn dyed not only his hair but his beard as well in a creamy shade of beige blonde. It did wonders for his brown eyes, making them look more toffee than anything else. 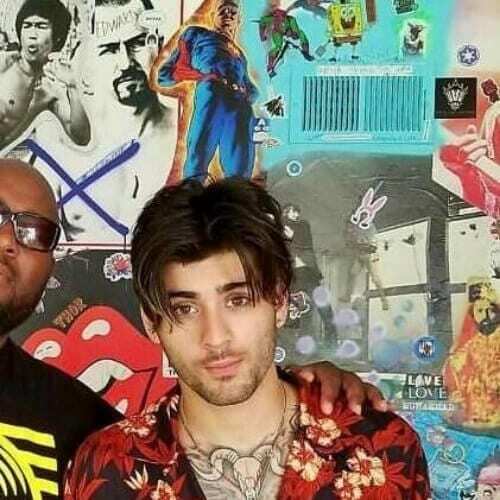 It’s safe to safe that Zayn Malik loves a good disconnected haircut. Here he is with an undershave and a long comb over which gives him an edgy vibe as well as the bad boy look he always wanted to have. It’s obvious why this haircut is called a bald fade. The sides and back are completely shaded off while the top can be as long as you want. Zayn went for a feathery and layered top that made him look hipster and trippy. Speaking of bald, he did shave off his head completely in order to get one of his head tattoos and then show it off. 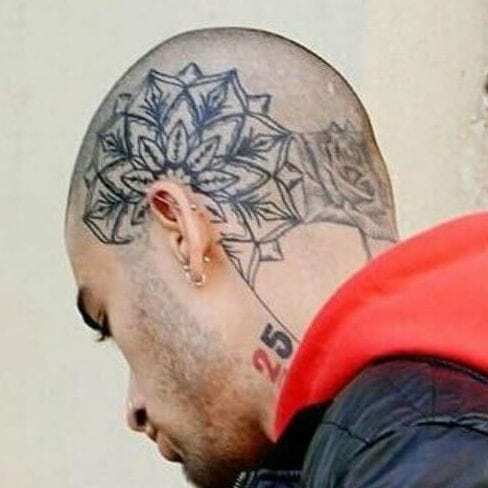 It’s a gorgeous mandala that sits next to the rose in full bloom that the singer has tattooed on the back of his head. After scrolling through the entire list, one has to admit that Zayn Malik undoubtedly has style. What’s even better is that he managed to create an aesthetic that’s entirely his own, complete with the edgiest and most artistic haircuts we can see on today’s music scene. 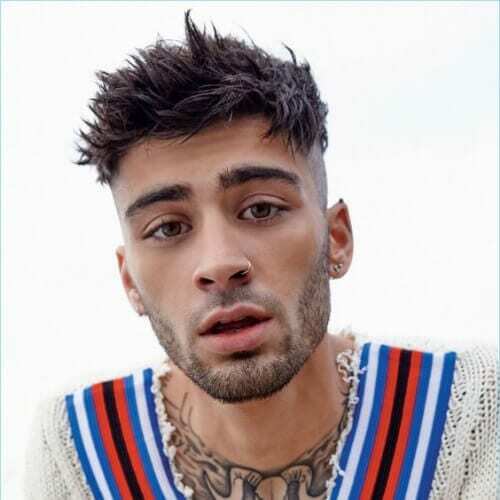 Let us know in the comment section below which one of these Zayn Malik haircut ideas is your favorite and why!